For years, Shure has been the most recognizable and common wireless systems used around the world for their amazing reliability and legendary sound quality. The ULX line is continuing that tradition with many systems to choose from. In their handheld configuration, Shure gives you the opportunity to pick between their classic capsules and ones from Telefunken, Heil, and more . With the set-up designed to make getting to install and performance level in a matter of minutes, you won’t be disappointed with this system. The body pack configurations allow you to be flexible and work in whatever avenue you need, whether it’s headsets, lavalieres, guitar/bass or other instrument packages. Shure is able to boast about their 8-hour battery life, which means you won’t be left high and dry in the middle of your performance. 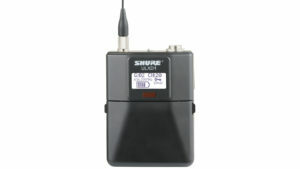 Knowing how tricky and packed the wireless spectrum can be, Shure made it possible with these devices to choose between 1400 frequencies and allows up to 40 devices to be programmed within the frequency band. But don’t fear in trying to figure out what is available. 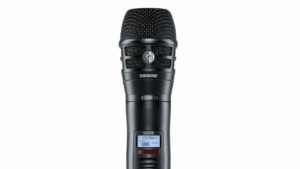 Shure put their easy to use frequency scan feature allowing you with ease, to coordinate and find available frequencies. You will be satisfied with Shure’s amazing wireless performance, amazing sound quality, and ease of use design in the ULX Wireless System.